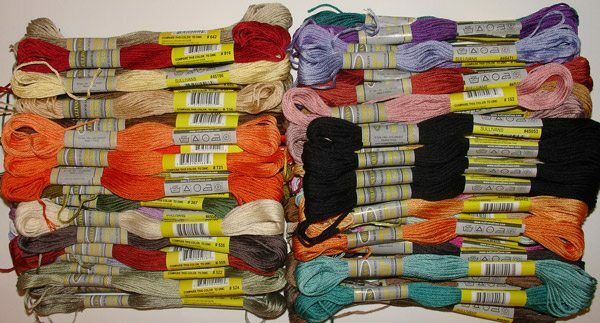 The Spook Town Square Sullivans Thread Pack includes 81 colors (84 skeins) of Sullivans Floss (which includes 4 colors of black). Information for the Entire Design: A total of 81 colors of Sullivans floss (84 skeins) are used in the model. Four skeins are black.